Let me see…that’s three Christmases I saved…eight I ruined…two were kind of a draw. 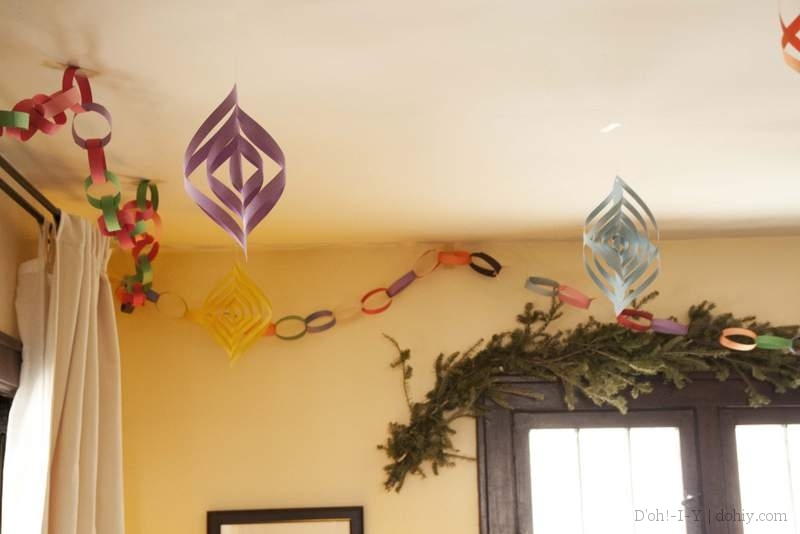 Last Christmas, I went bonkers with old-school paper chains hither and yon. The Kev saw my paper chains and raised me 3D paper ornaments. 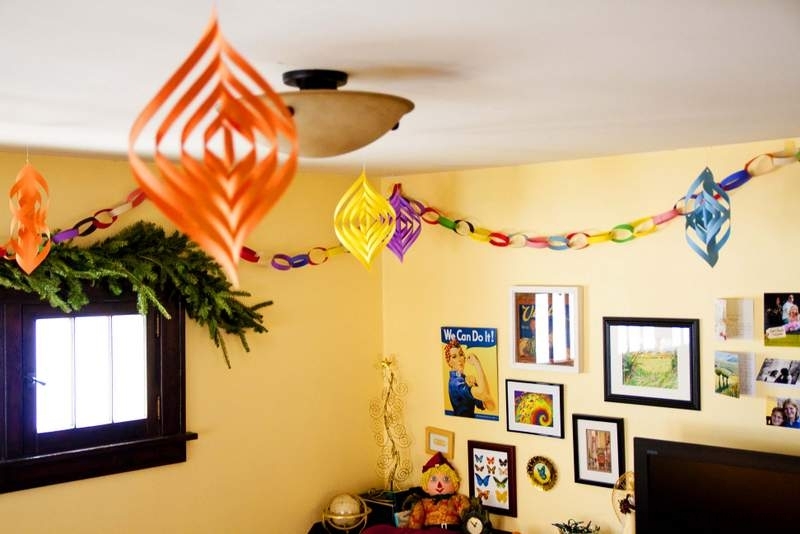 Since our decorating this year is lacking comparable motivation, I decided to revisit this fun and festive project. 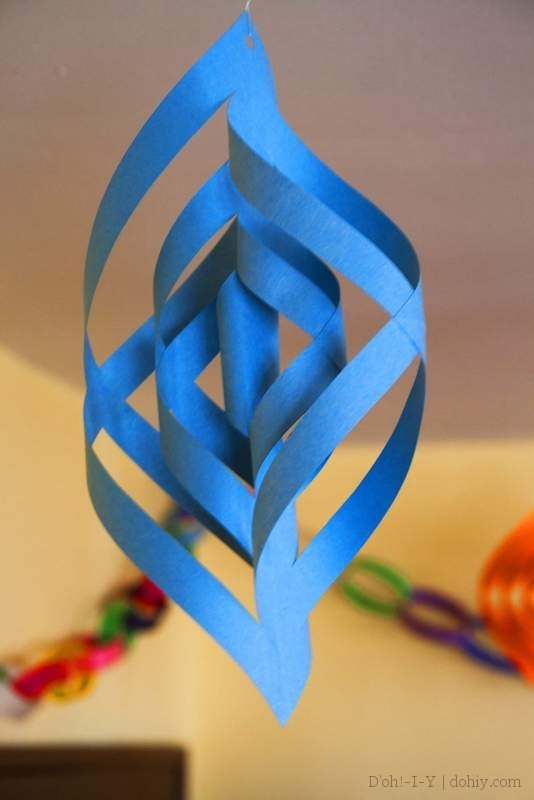 These paper Christmas decorations are really easy and result in a great look that would work with all sorts of holiday decorating styles–all you need is construction paper and a glue stick. I found a great video that shows how these are done. 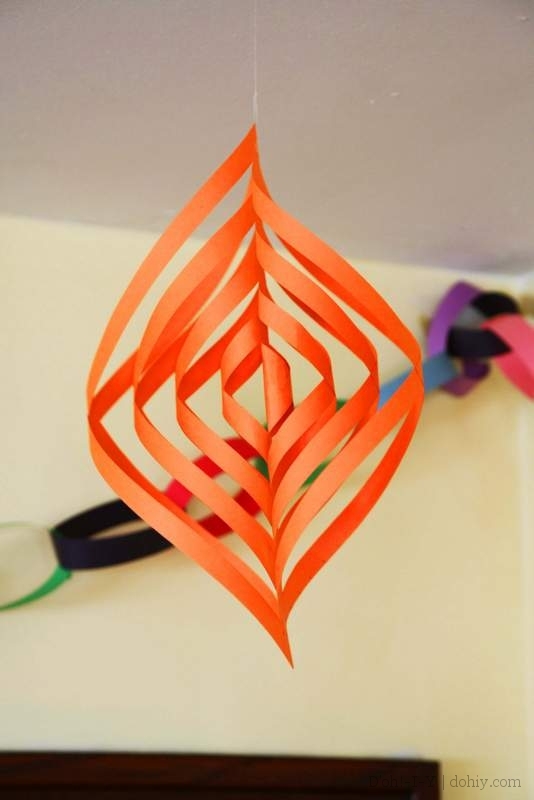 The hostess shows you how to make a bunch of these into a mega-decoration, but to do the individual ornaments that we used, you only need to watch the video up to about 2:45. We experimented by cutting the strips different widths. Kev made some with ½” wide ribs. And some with ¾” wide ribs. Making the ribs narrower or wider can change their number and the intricacy of the finished piece. Our visitors all liked our crafty Christmas ideas, so this was fun, festive and gratifying! This would be a fun thing to do with kids, and you can make them as homey or as fancified as you like. Happy decorating! 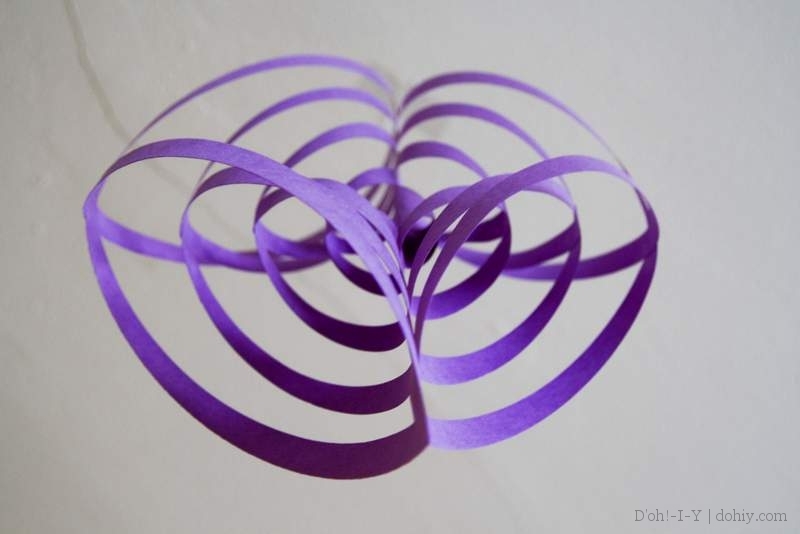 This entry was posted in Decor, Family and tagged 3D paper ornaments, Christmas crafts, Christmas paper ornaments, DIY Christmas decor, family Christmas projects, fun Christmas crafts, holiday paper ornaments. Bookmark the permalink.